Jake and I are at it again with the lunchtime shoots! 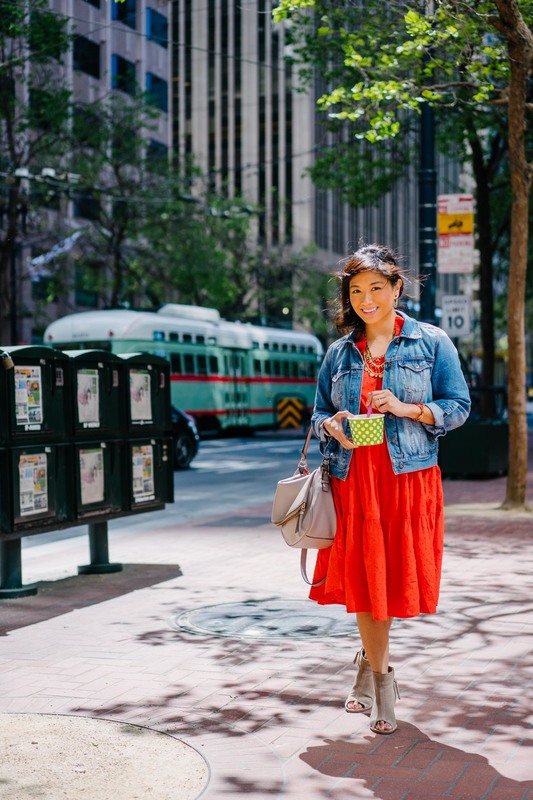 It's a warm, beautiful week in San Francisco -- definitely frozen yogurt and dress weather. Check out her style picks this week on the Five Foot Under Small Wonder blog. We also met up with our new friend, Berniedette of Petite and Toned. Can't wait to shoot with these two in a couple weeks. Stay tuned.